The bach is perfectly poised almost midway between the Thames and Coromandel townships. It provides access to the magical East Coast, home of the world renowned Cathedral Cove (48kms) and Hot Water beach (44kms) via the Tapu-Coroglen road - partly unpaved. With fresh carpets and paint, a well equipped kitchen and Free View TV, it has all the essentials for a cosy weekend or a great family holiday. Enjoy your morning cuppa listening to the birdsong on the back patio. Wade in the water at low tide to collect cockles or the famous NZ green lipped mussels, or BBQ your fish after a day out in the two fishing kayaks ( rods and life jackets not provided). After a long day in the sea and sun, relax in the Cape Cod chairs while watching a stunning sunset or curl up with a book on the window seat. A perfect place to make great memories! Children to be supervised at all times as property is located on the main road. Being Green Kiwi's we have rainwater harvesting, so please conserve water. Handy location to Thames (20 kms) and Coromandel (35 kms) and only 90 mins from Auckland. It’s a true gem and home owner has done a wonderful job. What a fantastic place to stay, we loved the layout of the Bach and the location was perfect. The owners were very easy to communicate with, the house was such a cool place, we loved the bedroom layout, and how close it was to the water, great for fishing. We did a couple of day trips around the Coromandel, what a cool place. Te Mata is in a great location to be able to get to everywhere in Coromandel. We look forward to staying again soon. 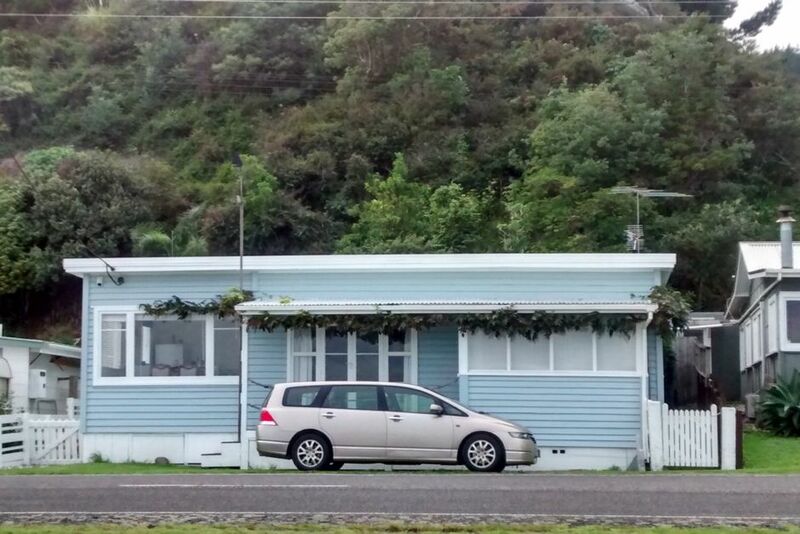 great kiwi bach, great location. Well equipt and very relaxing.Will definately book again.